Gists Tory Lanez Responds To Punching A Fan At His Toronto Show Who He Described As "A Fan who Wanted to cause him Bodily Harm"
Tory Lanez Responds To Punching A Fan At His Toronto Show Who He Described As "A Fan who Wanted to cause him Bodily Harm"
Popular Toronto-born Musician, Tory Lanez Responds To Punching A Fan At His Toronto Show Who He Described As "A Fan who Wanted to cause him Bodily Harm"
Tory Lanez caught people's attention yesterday not because of his show only,but the action he carried out on a fan, after the video of him punching a guy in the crowd surfaced online on Wednesday night. 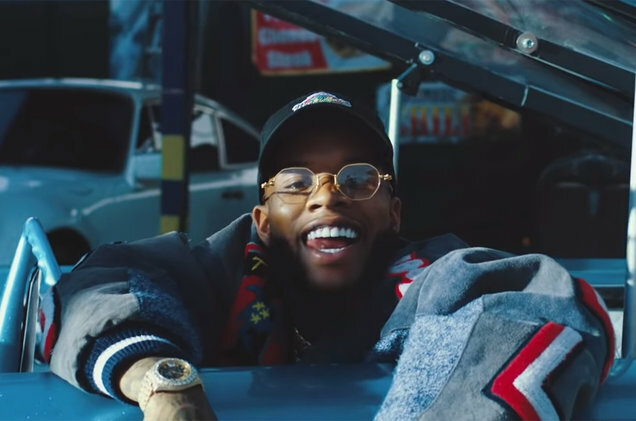 Tory Lanez, who was is a rapper, couldn't control his anger when he was pissed by a fan. 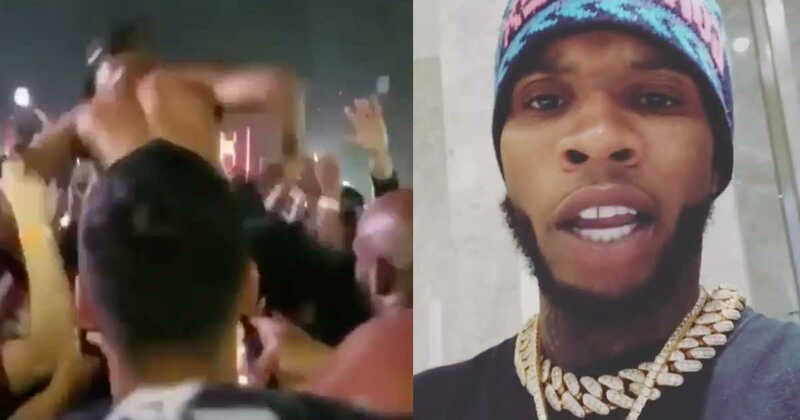 surprisingly , the rapper, Lanez jumped into the crowd and started unleashing his punches at an unidentified fan. "I wanna address something I've seen today," Lanez says, "I go on a blog and I see, 'Tory Lanez swung at a fan at his concert last night' - I want y'all to understand two things. Number one, there's a difference between someone who comes to your show as a fan, and somebody who comes to your show to cause you a problem and cause you bodily harm." "Number two, if you've been to a Tory Lanez show in, I don't know, maybe the last four or five years, you'd understand that I crowdsurf at every single one, I've never been absent when it comes to the crowdsurfing," Lanez continues, "I've always did it, crowd walked on every single fan, every single crowd that I've been in front of, and they love me for that because I get in there, no security people, people love me." "I would never disrespect my fans and file off on a fan. But, I always want y'all to understand the real story," he says, "I'm also never going to let nobody come to my show and try to take this from me or cause me a problem or cause me bodily harm. As a man, I just can't." Meanwhile Fans reacted and commented on the video, sharing messages of support and understanding. But, many have also pointed out that Lanez chose to keep his explanation pretty vague, not revealing the exact details of what the fan did to warrant the punches.